Scrap collectors, gatherers, accumulators, and hoarders—today’s video is going to inspire you to dive into those bins, boxes, and drawers (closets?) full of scraps and DO something wonderful with them, once and for all. This is THE reason you’ve been saving them! The technique? It’s called improv piecing. Now, you might’ve heard that term before, and for some it may sound intimidating. 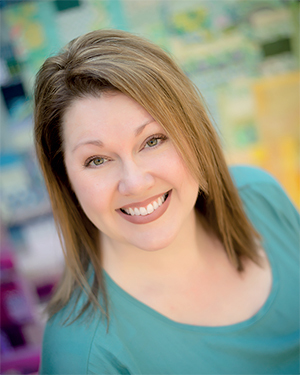 But Stash Statement author Kelly Young is going to WOW you with the improv technique she uses in the video below. 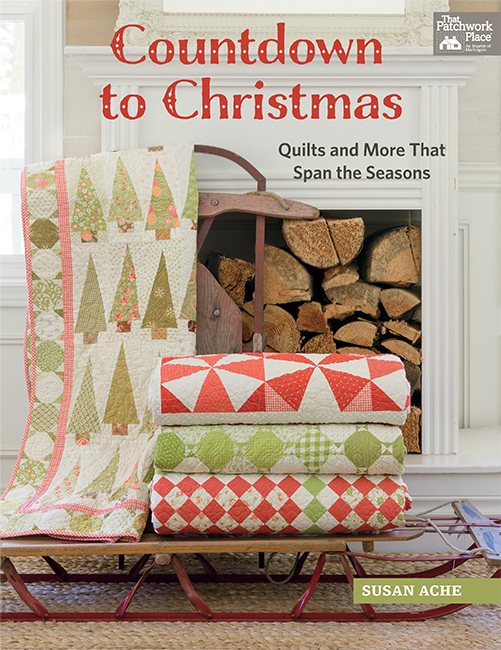 The technique is SO fun, it goes SO fast, and it will help you SEW your scraps into beautiful quilts! 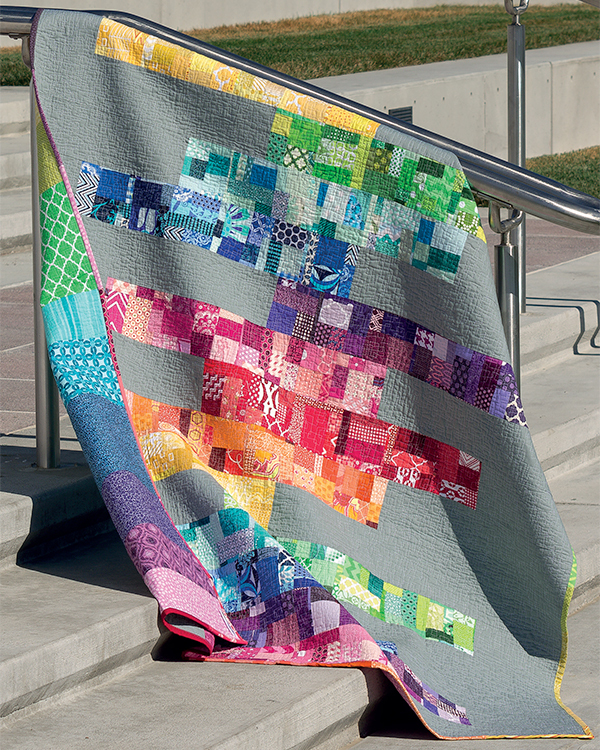 “Though improvisation has recently exploded in modern quilting, using every single scrap of fabric and ‘making it work’ is a hallmark of some of the earliest patchwork quilts. Improv piecing is truly adaptable to every style. You have a pattern to follow. 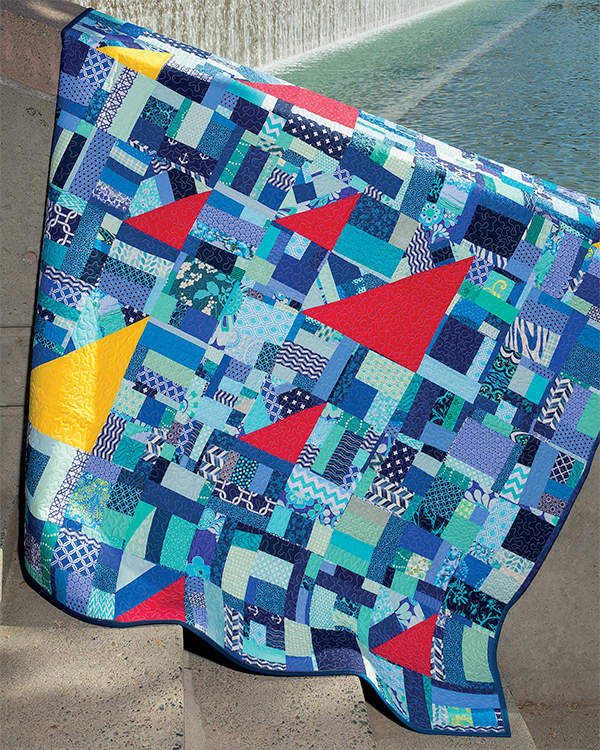 Each quilt is designed with a background fabric, which keeps the finished quilt from being too visually crazy. You’ll have your choice of three different methods for improv piecing, each one complete with step-by-step instructions and photos to help you along. 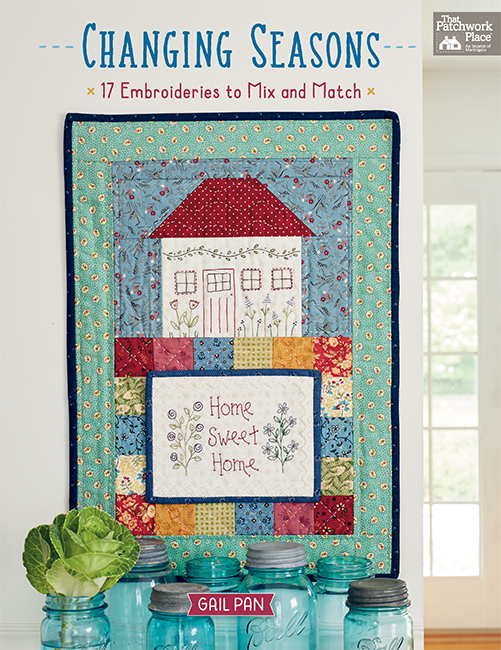 You can use any scraps you have on hand—modern colors, traditional prints, batiks—anything goes! Detail of Kelly’s Precarious quilt—check out how many different fabrics she packs in! There’s no additional cutting to make scraps into uniform sizes. Grab whatever scraps happen to be in your bins and just start sewing. There is virtually no fabric waste! 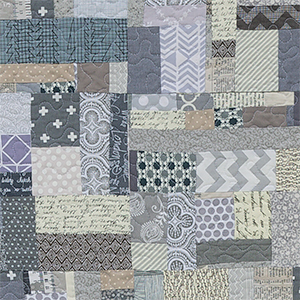 Have you tried improv piecing? Yes. And I love it! Yes. But it turned out a little “visually crazy” like Kelly mentioned. Not yet. But I have plenty of scraps to give it a whirl! Tell us about your improv experience in the comments! Yes, it is a great stash buster. Yes, I have tried improv, with leftovers from string piecing, and I love it. Kelly’s ideas take it to a new level, though! 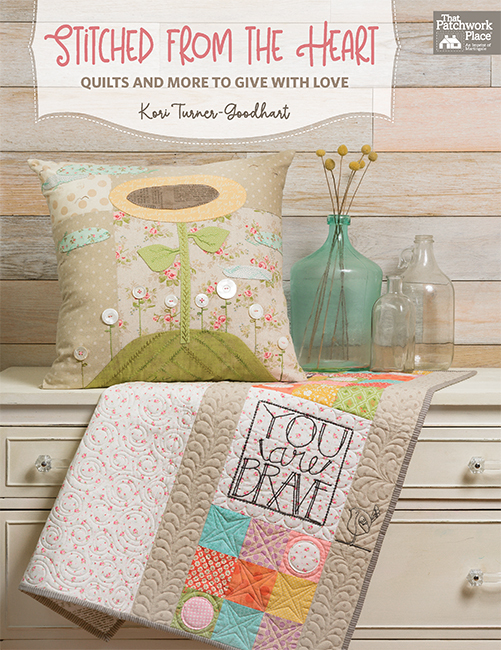 Her quilts are beautiful! •	Not yet. But I have plenty of scraps to give it a whirl! Oh yes, in our Guild we call this the ‘Mile a Minute’ method. It is a wonderful way to use up the leftovers. Kelly’s approach is great….simple and straightforward. It is what she does with her new ‘fabric’ that is just inspiring. Looks like a book worth having! Congratulations, Kelly. No I have not, but I am going to give it a try. Not yet, but I have plenty of scraps to give it a whirl My problem is I keep getting sidetracked. I’ll do a few string blocks, and before you know it, I’m off on a new quilt. I guess the main thing is I keep sewing. Put together 2 tops and made a 3rd last week, and on she goes. Not yet. You could use the tiny scraps to make Christmas ornaments using an ornament and mod podge. I have tried this type of piecing but not brave enough for a quilt. Just use for pouches and bags. Yes, I’ve tried improv piecing with scraps. This is so much fun. I haven’t tried cutting the jumbled fabric into shapes yet, but it would look really cool to use it for the center squares of some traditional blocks, or just turned into large circles to applique on a quilt. Thanks for the inspiration. I haven’t tried yet. Looks intriguing. I have tons of scraps. No. Scrap quilts terrify me. Not yet. But definitely intriguing…not that I have any scraps! (She said, with tongue planted firmly in cheek)!!!!! a class with Bonnie Hunter. I scrapped. It was not a pretty sight. Cut it in half and made two donation quilts that I hope someone will adopt. I shall never scrap again unless it is controlled. I have tried it and it was interesting, but I’ve only made a small bit, but it was fun! I think I need to make a full fun quilt to see!! I must try this technique. My scrap bins are nearly full. Thank you for sharing. never tried improv piecing but I have enough scraps to supply the world! I do improv with small scraps and trim them into squares or bricks. This book offers some great ideas. Yes; I’m in a mini group that uses that method of patchwork for charity quilts. Gives us an opportunity to keep our scrap bins at an acceptable level. Typically we have uniformity in sashing or background yardage in order to give the eyes a place to rest. I have lots of scraps AND the book. So this will be on my "to-do" list. I have tried and sometimes it works for me and sometimes it doesn’t. YES, YES, YES! I love using up scraps. Currently working on a railroad crossing. Just waiting for the right background to make it all come together. I have done something similar to this and string piecing-who knew there was a name-improv piecing! I just called it using up not to be wasted/fabric is expensive scraps! I have made car/picnic blankets with "improv" squares alternated with scrap jeans squares and backed with fleece fabric. Warm, washable and saves family from grabbing the fancy quilts for the beach and such. I just did a little improv piecing with some rust-dyed muslin and some blue and orange batik scraps. So much fun to "make" fabric. I haven’t tried improv piecing, but I think I will try it! Not yet! How did you guess that I have plenty of scraps to work with? String piecing has been my scrap stash improv. This book gives so many options for those scraps used in many more shapes. It makes one wonder if a large quantity of fabric scraps were used to make up a good sized "fabric piece"….how many different squares, half square triangle, rectangles, etc could be cut out? The variations would be endless..JUST LIKE my piles of scraps! Isn’t it great when you get an entirely different point of view? 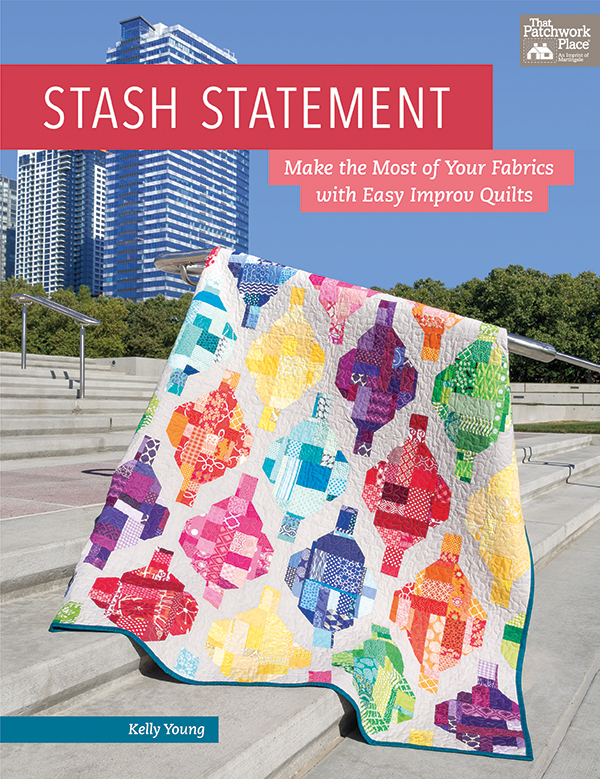 Thanks Kelly for "Stash Statement"
Yes! I’ve used similar methods to use up scraps and make "new" fabric. I’ve used squares, rectangles, anything with perpendicular sides as well as crazy quilt style with any angle. Fun! Fun! I do want to watch the video asap to learn new tricks to the process. Thanks! Now this I just might try! The improv quilting I have seen is just too visually overwhelming! I really don’t like “scrappy” either unless I can control placement and value. The addition of a calming background and something of a pattern makes this more appealing to me. Thanks for introducing this book! I have not tried this method yet but it looks like fun. Something else to look forward to when I finally get a place of my own and am re-united with my sewing machine and majority of my scraps. I need this book. My stash and scrap bins are overflowing. I’m 75 and will NEVER use up everything. My quilting daughter has enough of her own; she doesn’t need all my fabric too. Never have I done anything quite so ‘freeing’! Looks like fun and could use up some of my scraps! I have lots of scraps and I can’t wait to give it a try. 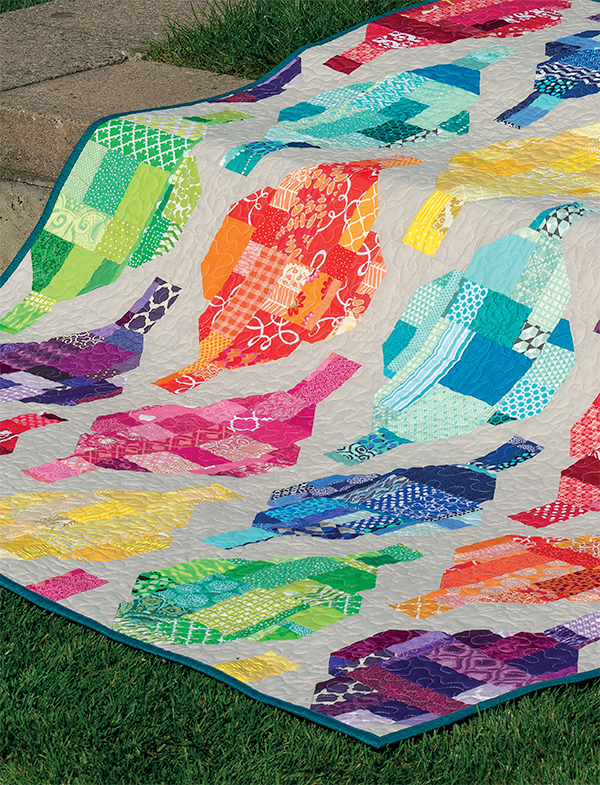 I love brightly colored quilts and am excited about finally using up some of the scraps in a new way. I sew my scrapes together daily as I am making the another quilt. Have never tried this … yet! I love working with scraps. I keep wanting to make a scrap quilt. I certainly have plenty of scraps saved up! I do use leftover fabrics in future quilts, but then more scraps are born. Maybe this method would help me to get started.